We're all on the same side here. Maybe he had a heart attack. Bell: I'm Chief of Surgery, and it's the end of a 30-hour shift. What did you see? Doctor: We're all on the same side here. Maybe he had a heart attack. The Resident Season 1 Episode 1: "Pilot"
Permalink: We're all on the same side here. Maybe he had a heart attack. 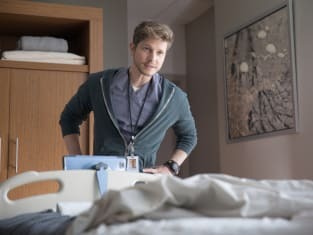 The Resident Season 1 Episode 1 Review: Conrad Is Never Wrong!